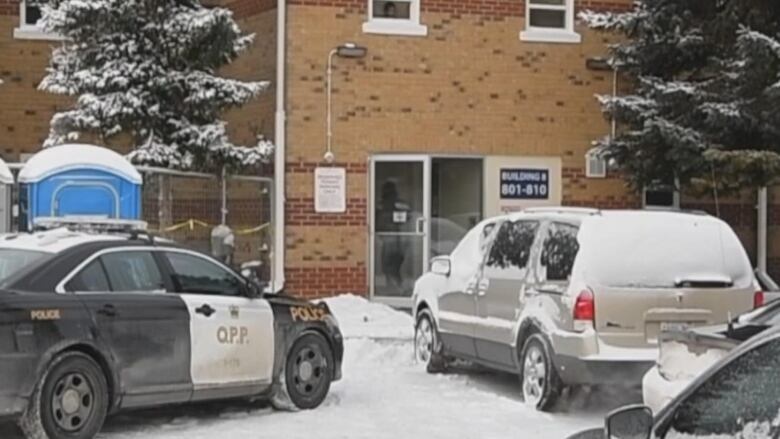 Ontario Provincial Police have made an arrest in what they are now treating as a double homicide in Collingwood Tuesday. A 57-year-old has been charged with two counts of second-degree murder after police were called to a residence in the Georgian Blue area shortly after 1:30 a.m. Tuesday. That's where nearby resident Tammy Patchell, said she heard several bangs. "It sounded like gunshots, I don't know if it was. And then all of a sudden I heard yelling and my dog started barking," she said, adding she could barely sleep all night. In the morning, Patchell says she looked outside to find a man lying in the snow. At first she said she thought perhaps he'd passed out, but she later learned he'd died. In a release, police say they believe a third person was with the two victims but fled the scene. The investigation remains ongoing. The accused is now being held for bail and is expected to appear at the Ontario Court of Justice in Barrie on Jan. 29. Police are not releasing the names of the victims until next of kin is notified. Anyone with information is asked to contact police at 1-888-310-1122 or leave an anonymous tip with Crime Stoppers at 1-800-222-8477.